We asked 8 taxi drivers for the scariest places in Singapore and trust me, you would be sleeping with the lights on tonight. Indeed further down along the road, he saw a Caucasian flagging for a cab. And he smiled to himself that he actually did manage to pick up an “ang moh gui”, a joke he wisely kept to himself instead of sharing it with his passenger. He did not think much of it and just told the student that that way was faster and there is no point making a turn. And that was when the student then touched him on the shoulder. In shock from the touch, he immediately turned backwards and realized there was no one left in the taxi. Scared and confused, he turned back to the road and mistook a tree’s shadow for a man and swerved to avoid him. He never went back to Mount Pleasant after that day. 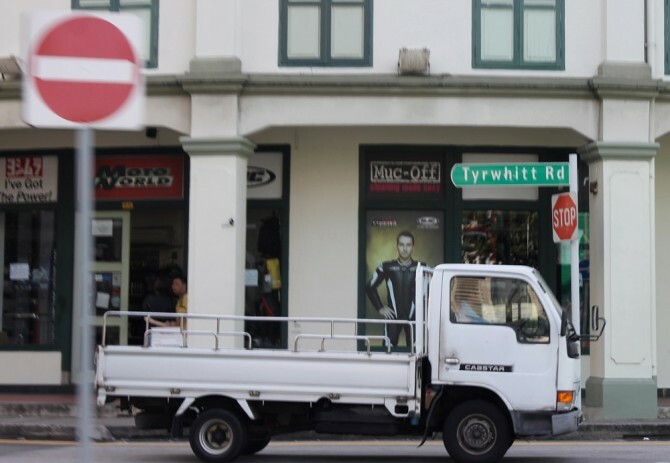 Driver Jaffar was driving at night along Old Tampines Road when he saw a man in red flagging his taxi. He was rushing home, tired from a long day at home so he intended to roll down his window and ask if he was heading to the same area. Upon driving close, he realized he was a lot older than he thought, as if he aged 10 years in the 10 seconds he took to drive closer to him. He decided not to comment and just take his anyway as he did not want to leave a poor old man stranded all alone. He said he was going to Changi, which was just a short distance away. He was yawning and turning up the radio as he was getting sleepy. When they went through a tunnel, the radio distorted so he turned it off and started to chat with his passenger to keep awake. But when he turned around, he was gone. In his place was a small pile of leaves. He did not know what to do with them and decided to put them in the boot of the taxi, for fear that something bad would happen if he discarded them. And as it turned out, he started having spectacular luck picking up passengers for the month of the incident. 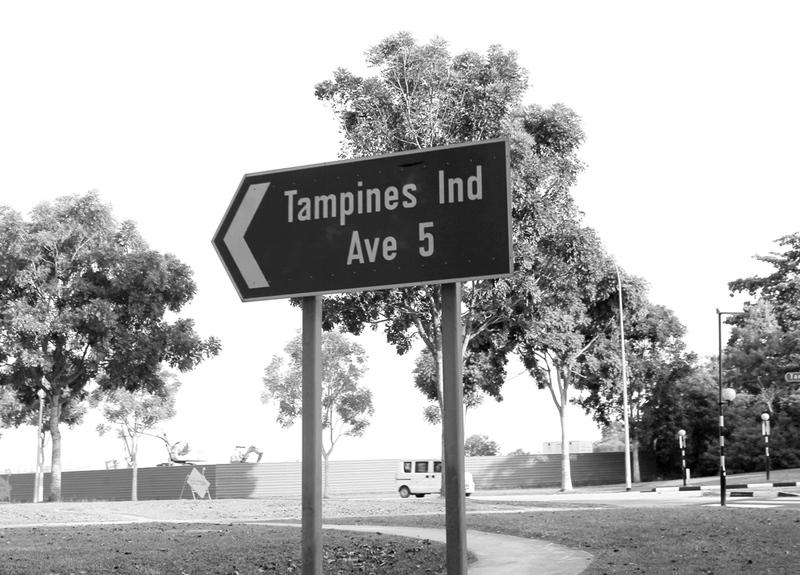 But still, he never went back to Old Tampines after that day. Driver Harry was driving along the Toa Payoh highway entering Potong Pasir. His passenger was chatting to him about a new restaurant that was opening and Harry was distracted listening to his story and the radio both at once. Suddenly, he saw the car in front of him violently swerve into the right lane and a red, bloody mess lay ahead of the road in front of him. Too late to stop, he ran over the figure. With his heart pumping, he tried looking back and trying to see what exactly did he run over. The passenger was worried and asked what was wrong but to not alert him in case he did commit a crime, Harry decided to say nothing. He dropped the passenger off and took a smoke to calm his nerves. But he caught the scent of something else coming from his front bumper. He went to check and fell backwards when he saw the faint but brilliantly fresh blood stains across his bumper. He quickly got a cloth and splashed the remains of his water bottle onto the stains before haphazardly rubbing it away. His mind was running wild and he vehemently decided he must head back and see what exactly he hid. All these occurred within the time frame 20 minutes and yet when he went back, there was nothing. No mess, no blood, nothing at all. No trace that anything ever happened. How could anyone have cleaned up the mess so quickly and if they did, why didn’t the radio report it? 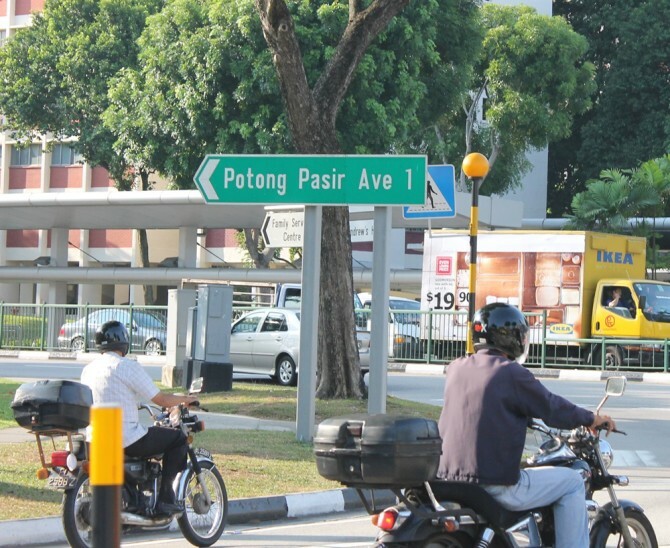 He never went back to Potong Pasir after that day. Driver Kokpha was cruising along Choa Chu Kang. He told me his theory, that he believes cab drivers are actually the night vigilantes of the road because they keep watch on the roads at night while the rest of the world sleeps. And today was just like any other patroling/ passenger picking. 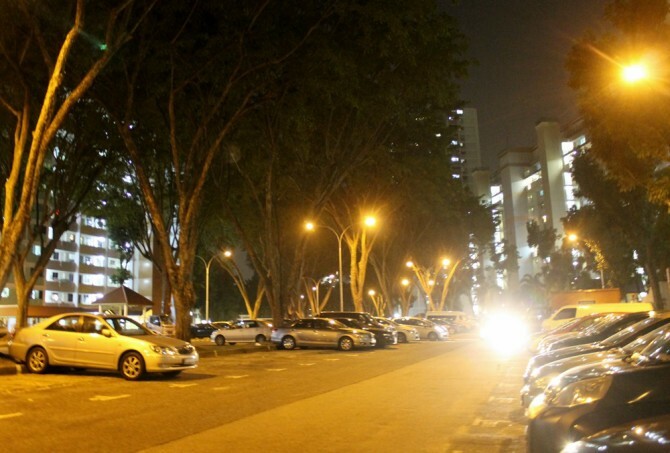 He particularly disliked driving along Brickland Road because of the strange 3-storey pack structure in one of their parks along the highway. So he was grumbling when his passenger asked to go to Commonwealth via that way. He did a small turn into Brickland Road and as usual, he turned up to look at the stupid park structure out of habit. But tonight, something was different. For a minute, he swore he saw a man on the roof of the structure weeping and plunging a small knife into his own collarbone. Horrified, he brought the cab to a screeching halt and quietly asked his passenger if he saw it too. The passenger, alert and slightly panicked at the situation, turned to look too and assured him that there was nothing there and urged him to just drive on. He never went back to Brickland Road after that day. One passenger came in but two passengers went out – where did the other one come from? 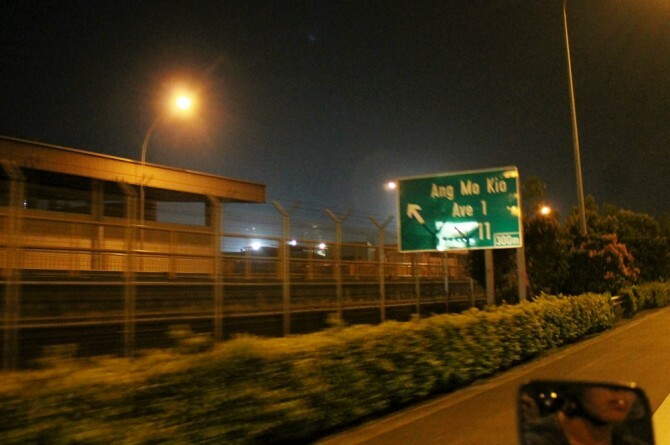 Driver Seng was on his way to his usual waiting spot at Jurong West at around 2am. He saw a teenager flagging a cab. 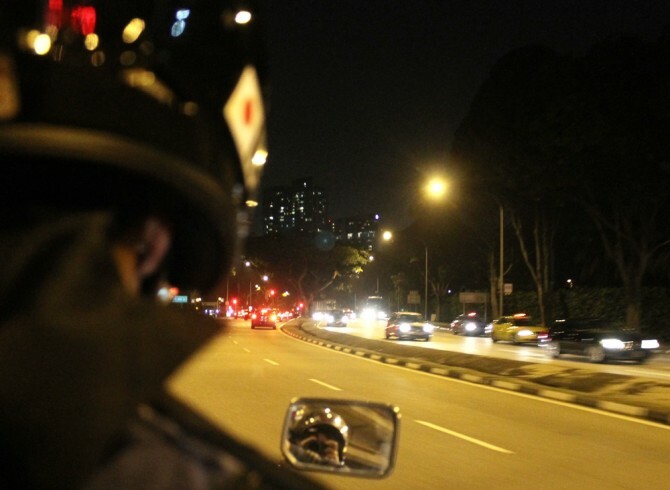 He seemed drunk and tipsy so Seng, being a father himself, wanted to make sure the passenger got home safe. The passenger was very quiet throughout the trip, he made no noise and there were none of the usual beeps from the passenger’s iPhone. Seng finally arrived at Joo Koon and the passenger sobered up immediately, passing him $10 on each hand. Seng thought it was strange at first until the passenger got off. He swore on his life that only one passenger came in. But two passengers exited his cab. He never went back to Joo Koon after that day. 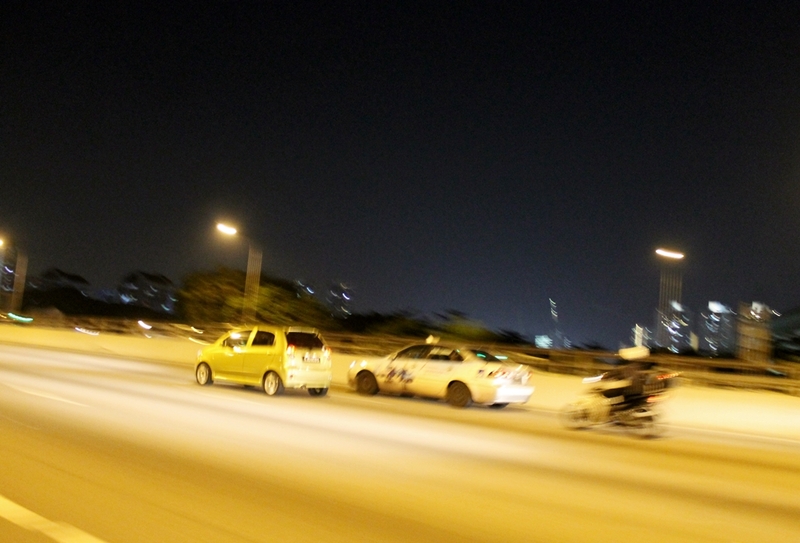 Driver Ravisatham was heading back from Sime Road after sending off a drunk partygoer from Zouk. Tired and disgusted by the puke left in his taxi by the passenger, he thanked his lucky stars that the shift was ending. He saw an old lady with surprising long gray hair in a white dress flagging his taxi. In that instance, he felt his goosebumps stand and call it a driver’s instinct, but he decided to drive past her. And in the long, single moment that followed after, the stench in the taxi changed from the nauseating smell of puke to a heavy scent of jasmine leaves. He thought nothing of it and decided to just move on with life. But strangely for the rest of the month, every toddler who enters his taxi would start crying hysterically, every child who sat in his taxi would end up quietening down immediately and every other day he would find new aches in his arms, legs and body. Eventually, he approached a master and was told there was a dead woman and her child sitting in his taxi for the past month. After saying the relevant prayers, the master managed to chain the spirits into a tree and immediately, he felt his aches improving. He never went back to Sime Road after that day. 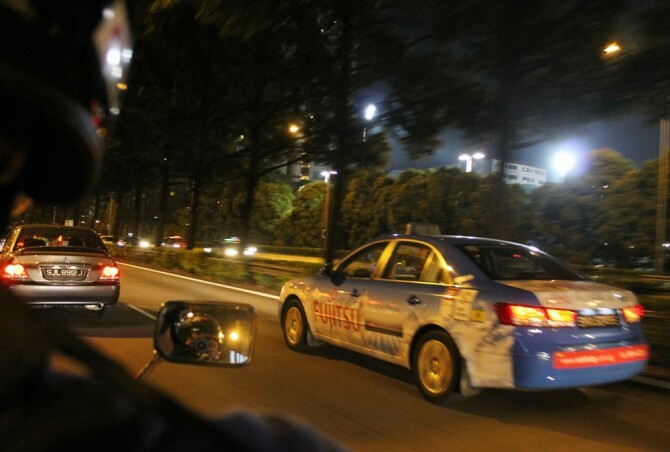 “I will driving along Changi after dropping off a Caucasian couple. I saw these two teenagers in the distance flagging my cab so I decided they would be my last passengers of the day. Just nice they were heading to Yishun (where I live) too so I thought okay, I’ll end my shift after them. They were very quiet throughout the whole trip and I think they were texting each other instead of talking to each other, so I thought maybe they had a quarrel or something. It was none of my business so I just drove faster and finally we reached Yishun. So now we know: ghosts are not the scariest thing in the world – unpaying customers are! Previous PostLake Life: Where home, harmony & health come together Next PostWine lover? Do not miss Big Wine Review!